Officially, on May 13, the whole world celebrates one of the most popular and consumed Lebanese cuisine: humus. According to foodpanda.ro, the largest food ordering platform in Romania, in the past year, Romanians’ preference for Lebanese food has increased by over 15%, which has increased the number of restaurants with this specific. In the list of the most ordered Lebanese dishes by the Romanians, the first place is the humus, followed by the tabouleh lettuce, the fattoush lettuce, the Lebanese muskaua and the kafta. According to foodpanda, most of the customers order the humus separately, which they consume alongside the lemon, and less with other Lebanese cuisine. Foodpanda data show that Romanians order most Lebanese preparations for the end of the week and on weekends, as well for lunch and dinner. “In recent years, we have seen a strong increase in Lebanese cuisine in the Romanians’ preferences, which has led to the appearance of several Lebanese-style restaurants on the market. Of all the preparations, humus enjoys the greatest popularity among our customers, being an easy preparation, accessible to any type of diet, whether vegetarian, vegan, raw-vegan or non-vegetarian, and can be eaten at any time of the day “says Radu Bălăceanu, Country Manager of Foodpanda Romania. 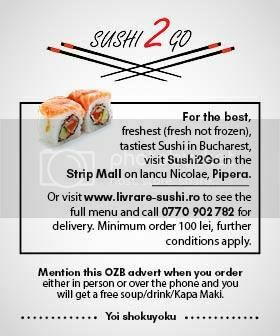 At this time, Lebanese-based foodpanda partners are only present in Bucharest, but will soon be available in Cluj and Timisoara. Ten Lebanese-only restaurants on the foodpand platform are available for customers in the Capital, the most popular being Karamna, La Safi and B-Back Lebanese. The history of humus dates back to Antiquity to the present day and has been mentioned in folk tales around the Near and Middle East and the Mediterranean as one of the oldest culinary dishes in the world but also in the writings of the philosophers of Greece Ancient, Plato and Socrates, who referred to his nutritional value.